Our product range includes a wide range of afinitor tablets, honvan tablets, myleran capsules, tenvir tablets, zidovir capsules and estracyt estramustine phosphate capsule. 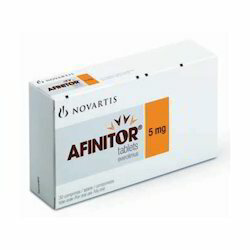 Leveraging on our skilled pool of the professionals, we are involved in offering Afinitor Tablets to the clients. Thisoral inhibitor of MTOR (mammalian target of rapamycin) is used in treatment of renal cell carcinoma (RCC). Moreover, this drug is highly effective for those patients whose disease does not cure after the VEGF-targeted therapy. These could be consumed easily and are free from adulteration. The unique and diverse range of these tablets is packaged in the neat pouches and has least side effects. Furthermore, these tablets are available at reasonable prices. 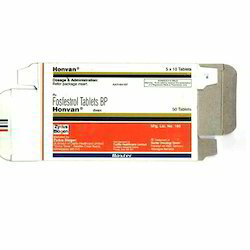 Backed by our rich industry experience and our expertise, we deal in offering Honvan Tablets. There is a unique range of these tablets available with us for supply and we have used the best quality ingredients. Appreciated by the clients for their purity level and no side effects, these tablets are reliable. Our clients could avail these tablets at excellent prices. 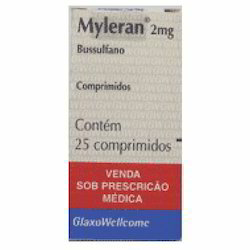 Since the inception of our organization, we are involved in offering Myleran Capsules to the clients. Busulfan is a cancer medication that interferes with the growth and spread of cancer cells in the body. Busulfan is used to treat the symptoms of chronic myelogenous leukemia (a type of blood cancer). Busulfan is not a cure for leukemia. Busulfan may also be used for purposes not listed in this medication guide. These tablets are stored either in the bottles or kept in the pouches for sale. In order to meet the rising demands of the medical fraternity, we are supplying these in bulk. 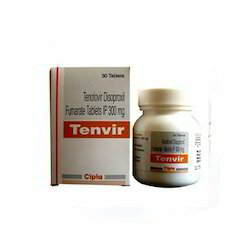 We are one of the distinguished processors of Tenvir Tablets. These tablets are processed and formulated utilizing the bet grade chemical compounds and sophisticated technology methodologies that ensure their reliability and quality. All the products offered by us are well checked and analyzed on set industry norms and standards. We offer our range in proper packaging and at most competitive rates in market. 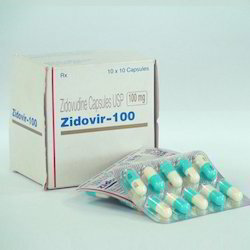 We are one of the leading processors of Zidovir Capsules that are available in most economic rates in market. is converted to the triphosphate derivative by other cellular enzymes. Zidovudine triphosphate interferes with the HIV viral RNA dependent DNA polymerase (reverse transcriptase), and thus inhibits viral replication. Entire range of our capsules undergoes several quality parameters that ensure their reliability. Owing to our years of experience and knowledge of this domain, we are offering premium quality Estracyt Estramustine phosphate Capsule, which is an anti-cancer drug. It is processed as per the FDA laid norms using premium quality ingredients in accurate composition. 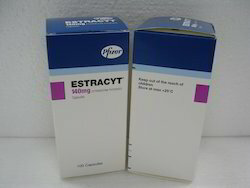 It is a combination of two drugs an oestrogen and chlormethine. Also, it works in two ways in the treatment of prostate cancer. 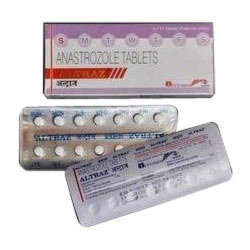 Listed in the category of topmost companies, we are involved in offering Votrient Tablets to the clients. The Votrient drug works by hindering the growth of cancer cells and decreases the rate of their spread in the body. 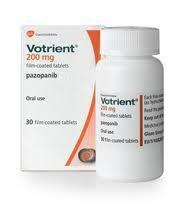 The Votrient drug is used for treating advanced renal cell carcinoma or kidney cancer. In the manufacturing process, we keep in mind fully the hygiene factor. 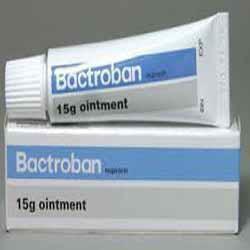 As per the requirements of the customers, we are involved in offering best quality of Antibiotic Ointment. The offered Antibiotic Ointment is known for its high effects. The Antibiotic Ointment is extensively demanded among the customers in bulk and we provide these products at reasonable rates. We manufactured this Antibiotic Ointment by using good quality chemicals as per the requirements. Looking for Antineoplastic Agents ?